Dr. Tatiana Nedecheva, C. Psych. other healthcare providers and related professionals. Dr. Deb Thompson, C. Psych. 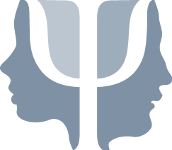 Please refer to the FAQs page to read about the difference between psychologists and psychotherapists. Sometimes counselling services may be offered by students who are completing a practicum at Ottawa West Professional Services to fulfill requirements for a graduate degree in clinical or counselling psychology. They provide services under the supervision of a registered psychologist. © 2013-2019 Ottawa West Professional Services. All rights reserved.